[German]Microsoft has released since December 2016 several INTEL driver updates named as INTEL – System – <date> <version> (for instance INTEL – System – 6/28/2016). All packages are declared as optional updates for Windows 7 SP1 and Windows 8.1, and are offered via Windows Update. Microsoft and Intel doesn’t provide details about those updates till yet. Within this blog post I try to provide a few details about those updates. Since early December 2016 Windows 7 SP1 and Windows 8.1 users are receiving optional updates for several Intel system drivers. All updates are offered via Windows Update, but not all machines are receiving updates (I haven’t seen such an INTEL system driver update till yet). All updates has several things in common: First of all, the INTEL system driver update release date is dated weeks or months ago, but the machines are receiving those updates since early December 2016. And some users in doubt, that the updates fits the systems hardware. Unfortunately Microsoft nor Intel are willing to provide details about those updates till yet. I’ve provides several hints about some updates released earlier within my blog. But now, nearly every day new INTEL system driver updates are arriving. And no details for those drivers are available. Here is a short list of all INTEL system driver updates known to me so far (some blog readers informed me about those updates). 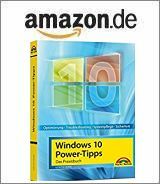 Note: All screenshots are for a German Windows – but the details may be also mapped to English and other Windows versions. INTEL – System – 6/28/2016: This update has been shipped at 12/05/2016, but the release date for this package is dated 6/28/2016. I’ve provided some details about this update within the blog post Windows: optional update ‘Intel – System – 6/28/2016’. My recommendation: Hide this update. INTEL – System – 8/19/2016: This optional update is dated at August 19, 2016 and has been offered since December 21/22, 2016. An analysis of the update package showed me, that several device IDs will be set and Null drivers are installed. Some users are reporting trouble after installing this optional update. I’ve documented more details within my blog post Windows: optional update ‘Intel – System – 8/19/2016’. My recommendation: Hide this update. Realtek Semiconductor Corp. – MEDIA – 11/8/2016 12:00:00 AM – 6.0.1.7982: This optional update is dated at October 10, 2016 and has been available since December 22, 2016. According to Microsoft Update Catalog this update contains a revised Realtek audio driver (update size is 100 MB for Windows 7/8.1) – I recommend to install this update. Alcor Micro, Corp. – USB – 4/11/2016 12:00:00 AM – 1.0.145.40103: This optional update is dated at April 11, 2016 and has been available since December 22, 2016. Microsoft Update Catalog says it’s an USB 2.0 driver update – searching the web says, it’s a driver update for a Alcor Micro USB 2. card reader. I recommend to install this update. Intel – System – 3/13/2016 12:00:00 AM – 11.0.0.1010: This optional update is dated at March 13, 2016 but has been shipped since December 22, 2016. According to Microsoft Update Catalog it’s a Watchdog timer driver update for device ID acpi\int3f0d (“Intel(R) Watchdog Timer Driver (Intel(R) WDT)”) for Windows 7 , Windows 8, and Windows 8.1. The .inf installer file says it installs a new kernel mode driver. If you have a system backup, I would let Windows install this update. Intel – System – 9/15/2016 12:00:00 AM – 11.6.0.1032: This optional update has been shipped since December 22, 2016 for Windows 8.1, Windows Server 2012, and Windows Server 2012 R2. According to Microsoft Update Catalog the update ist dated at September 15, 2016 and is a ‘Intel System driver update’. Searching the web brought me more details. The update renews the TeeDriver.sys for das Intel(R) Management Engine Interface. The size is 167 KB. Because the Intel Management Engine is superfluous (and it’s a nasty thing from a DRM, privacy, security view), and the Teedriver has been a root cause for blue screens and other issues, I would block/hide this update. Intel – System – 10/3/2016 12:00:00 AM – 10.1.1.38: This optional update is dated at October 3, 2016 but has been shipped since December 26/27, 2016. The update size is 58 KB, and the package is available for Windows 7, Windows 8, Windows 8.1, Windows Server 2008 R2, Windows Server 2012, and Windows Server 2012 R2. According to Microsoft Update Catalog it’s a ‘Intel(R) Celeron(R)/Pentium(R) Processor Host Bridge – 5AF0’ driver. Inspecting the install archive showed me, that Null drivers for newer Intel chipsets and CPUs (Broadwell, Baytrail, Haswell, Apollo Lake etc. ), and for devices provided within those chipsets, are defined with it’s device IDs. My recommendation: Hide this update, until more details are provided from Intel/Microsoft (see also Windows: optional update ‘Intel – System – 8/19/2016’). Intel – System – 11/16/2016 12:00:00 AM – 11.6.0.1042: This optional update has been shipped since December 26/27, 2016. The update size is 167 KB, and the package revision date is November 16, 2016. The update is available for Windows 8.1, Windows Server 2012, and Windows Server 2012 R2. According to Microsoft Update Catalog it’s an Intel system driver update. Inspecting the install archive, I found, that it’s an update for TeeDriver.sys driver for the Intel(R) Management Engine Interface. I would hide this update (see also Intel – System – 9/15/2016 12:00:00 AM – 11.6.0.1032 discussed above). This is a list of optional Intel system driver updates known to me. I guess, we will see similar updates in future. The worse: Neither Intel nor Microsoft are obviously willing to shed light into that update stuff. How can I obtain further details about those updates? Using the hints from my blog-post Windows: optional update ‘Intel – System – 8/19/2016’ use a browser and search Microsoft Update Catalog for Intel Drivers. Use the pattern ‘Intel – System’ combined with the revision date for the update package, provided via Windows Update as a search string (for instance ‘Intel – System – 11/16/2016’). The the browser should show some results and you can obtain further details via the hyperlinks provided within Microsoft Update Catalog. Experienced users may download the update from Microsoft Update Catalog into a local user folder. Double clicking the .cab file allows us to copy the content to a 2nd local folder. Inspecting the .inf files located within the package within Windows editor may give more clue what’s the update is for. Well, that’s in brief, what I found till now so far. You can left a comment, if you are receiving new Intel system driver updates, or if you are having issues after installing such an update. Also if you have further details or insights, please left a comment – maybe it will be helpful to others. My final thoughts: My impression is, the the Intel system driver updates are offered without rules (some users are reporting, that it doesn’t makes sense for their machines). Until Intel and/or Microsoft provides details, I would not let Windows install those updates. This entry was posted in Update, Windows and tagged "Intel System", Intel, Treiber, Update, Windows 7, Windows 8.1. Bookmark the permalink. I installed the 10/3/2016 and 11/16/2016 one, how can I delete them before they hurt my computer please ? (Sorry for my mistakes I’m not English). Should I do a restore system ?